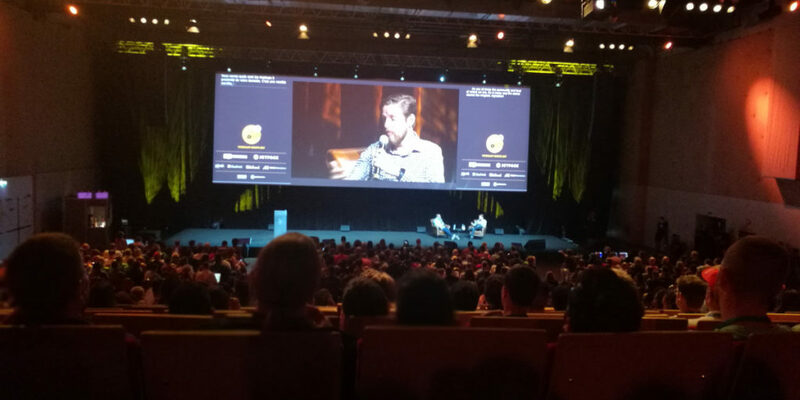 During WordCamp Europe 2017 in Paris, there was a Q&A session with Matt Mullenweg. I wanted to ask him a question, but due to high demand and restricted time, I never got to ask him. I guess Matt is a busy person, so I don’t expect him to actually answer this question himself. But maybe someone in the WordPress community has answers, insights or ideas? A person is the CEO of one of the most important WordPress-related companies. WordPress would probably not have been such a success without this company: They are constantly contributing with a huge amount of hours spent on development, community support, marketing and probably on more areas than what I am aware of. Even their CEO has been the release lead for multiple WordPress releases; most recently WordPress 4.8 which was released this month. I belive the same person is the leader of the WordPress Foundation, which holds the WordPress trademark. They organize and take care of a lot of all things WordPress. The wordpress.org websites, and all the infrastructure there, are privately owned by the same single person. This is where you find WordPress itself, themes, plugins, documentation, discussions, the issue tracker, and pretty much everything of the infrastructure that WordPressers rely on. It looks like The WordPress project and community relies heavily on this single person. I don’t know, or want to know, anything about Matt Mullenweg’s taxes. But what happens when he will be prevented from running all of this? Is there a contingency plan? Automattic is, as far as I know, a very profitable corporation and does probably have a contingency plan. They are also very far from the only contributor to WordPress. If, in a worst-case scenario, Automattic stops contributing to WordPress, they will be missed, but we will overcome. There seems to be very little information on the Foundation available online. How is the organization governed? Does it have a contingency plan? Will it become some sort of democracy instead of a benevolent dictatorship? Will it dissolve into nothing? And what about the entire technical infrastructure that WordPress so heavily rely on? Who will own it? Who will run it? Who will pay all the bills for it – which I can only assume is quite a bill? Do we have a contingency plan for it? Do we have a contingency plan for WordPress? Note: Please do not consider any statement in this post as a fact. My question is based on my understanding of how things are being run. I might be wrong. It’s a good question! Automattic and the Foundation have structures in place to keep going without me. For .org and the leadership elements of what I do for core, I’d like that to move to a new, single person rather than a committee, ideally someone with a good mix of code, design, and business skills.